There are various types of feeding systems and feed supplements to rear your young calves on but deciding on what is best for you is a matter of trial and error based around experienced data and science. Feeding calves is all about rumen development so the faster and most efficient way we can do this is better for the calf and your pocket. To do this we need to feed milk and meal from day 5 onwards until it has transitioned fully to pasture. 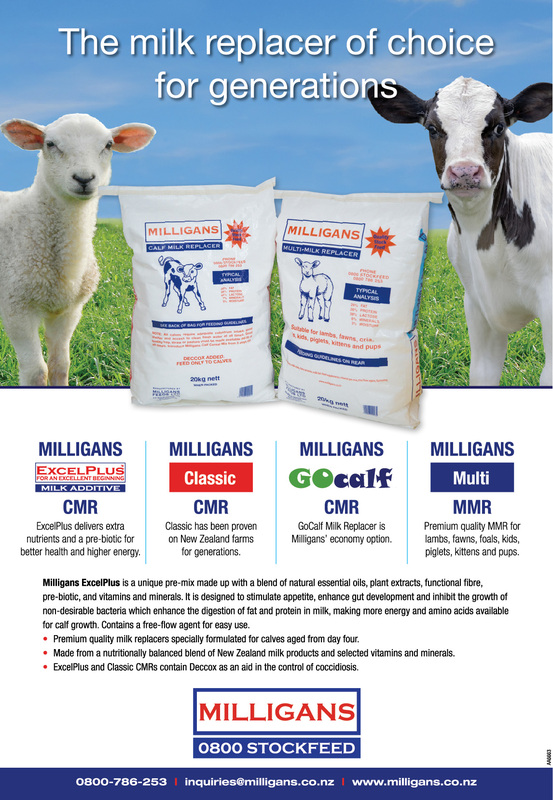 For beef rearers or dairy heifer replacement rearers, CMR is a viable option when whole milk is not available from a local dairy farmer or is worth more in the vat! There are two feeding options for CMR, the traditional ‘Twice a Day’ system and the milk restricted ‘Once a Day’ system aimed at faster growth rates with less cost. So let’s take a look at how these are used and what they offer. 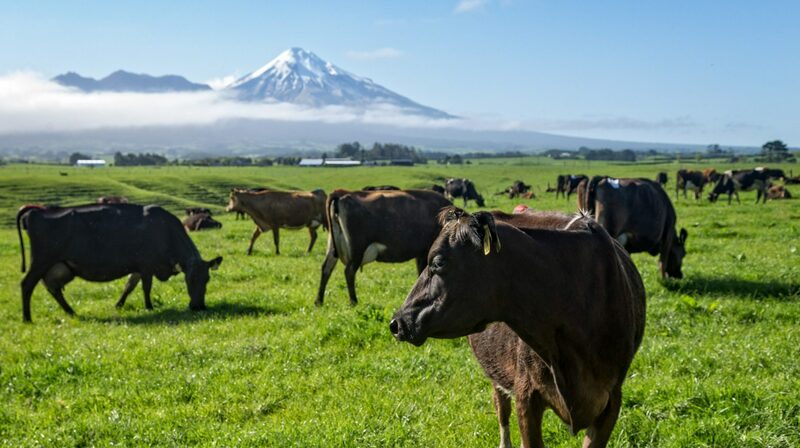 For years on NZ dairy farms and rearing operations, calves have been fed twice a day, once in the morning and once at night or early afternoon. Milk is usually fed at 2L twice a day for 2 weeks, 2.5L in weeks 3-4 and increasing to 3L twice by weeks 5-6. Calves tend to take longer to get on to meal as they stay full for longer so have no need to eat large amounts of meal. Due to slower rumen development calves are weaned later at around 8 weeks for beef rearers and 10 weeks with dairy replacements, so it can be a costly exercise but it may suit your farming practice better. The Once a Day milk feeding system is designed to develop the rumen faster by restricting the volume of milk intake and promoting meal and pellet intake in higher quantities which is the part of feeding that stimulates the papillae (wall lining of the rumen) to encourage growth for absorption of the nutrients contained in both milk and meal. The reason behind this is to convert a high cost and labour intensive milk fed diet animal to a pasture eating animal that will gain weight on grass due to the animals developed rumen that can process and utilize the nutrients efficiently. In order to develop the rumen effectively, calves should be kept off pasture and fed only milk and pellets but make sure there is hay or straw available at all times for fibre intake which also helps with saliva production. This is important as the saliva buffers the rumen ph and has shown to encourage more meal consumption. The following are guidelines only, use common sense. If you are unsure whether this feed is suitable for your intended use or of the quantities to use please get advice from the retailer, vet, animal nutritionist or an informed source before use. Mix powder in warm water, not hot, as this can cause an adverse affect on the product. 38-40 degrees is best, no more than 45 degrees – Use a thermometer if unsure. Warm milk, as opposed to cold milk, is desirable, as calf energy will not be wasted heating cold milk to blood temperature. Mix powder prior to feeding, not the day or evening before, as settling can occur. Twice a day system – Mixing Rate – 125gm per litre. As a guide, at least 8 hours should elapse between feeds, and try to feed at the same time each day. 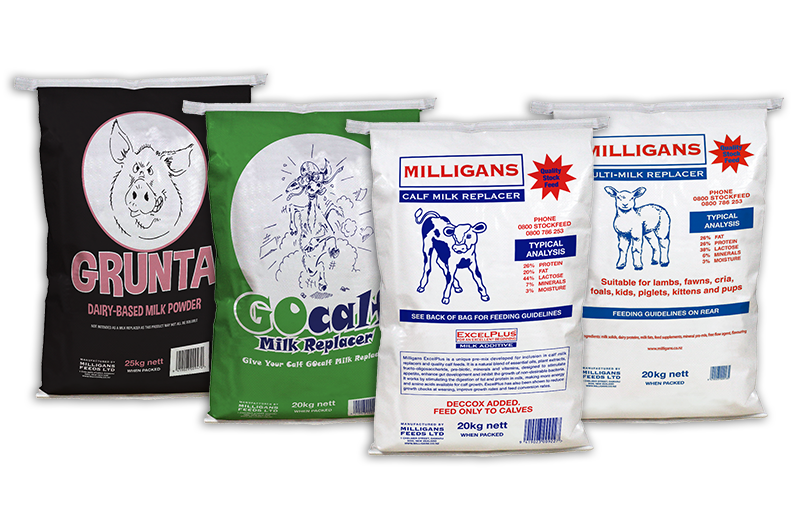 The volume of milk may be adjusted up or down depending on size of the calf in order for quicker uptake of pellets for faster rumen development. Mixing concentration is unchanged with this system. 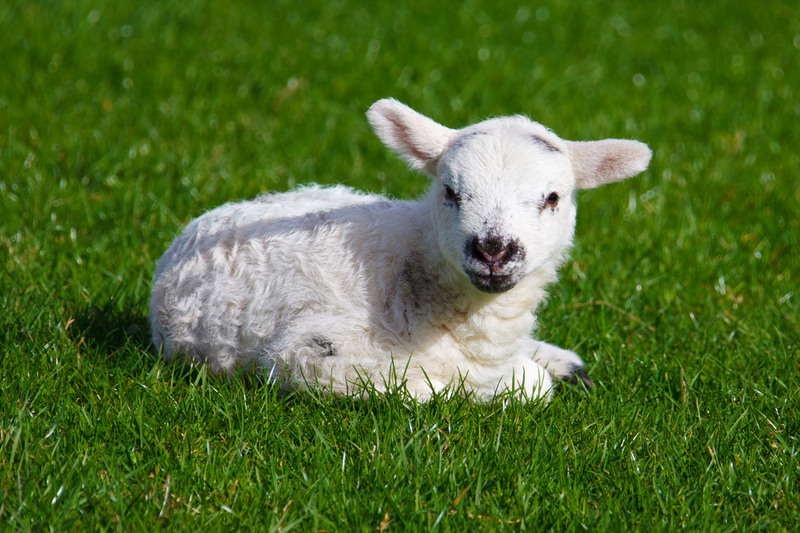 Calf meal or pellets should be introduced ad lib from day 5, along with fresh, clean water and good quality hay or straw to aid digestion and rumen development. Alternatively, feed once a day from the start (day 5) at 300gms to 2 litres of water and increase concentration each 5-7 days. Once a day feeding works by restricting the volume intake of milk, but by feeding at higher concentrations, calves still receive their daily mineral and nutrient requirement. It is critical when feeding on the higher concentrations that the calves receive the correct volume, i.e. 2 litres only per calf per feed. To ensure this, compartment feeders and vigilance are required.